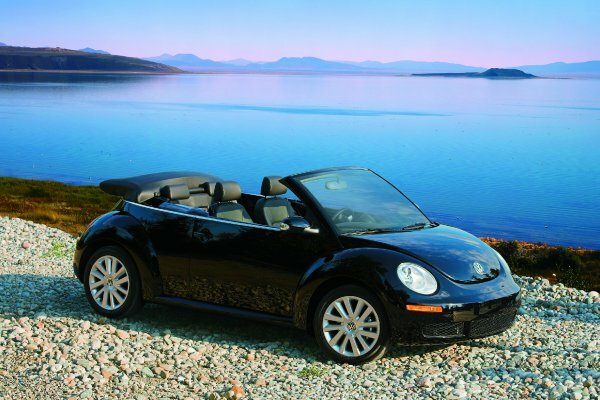 If you hanker for a BMW 335i or Porsche Boxster Spyder convertible but don’t have the budget, fear not – there are some appealing choices available in these best new convertibles under $30,000. 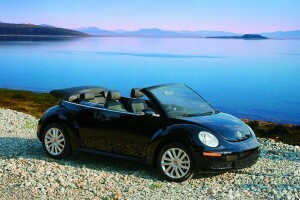 Who says a drop top can’t be affordable? Check this list of top-down beauties and give one or more a spin. 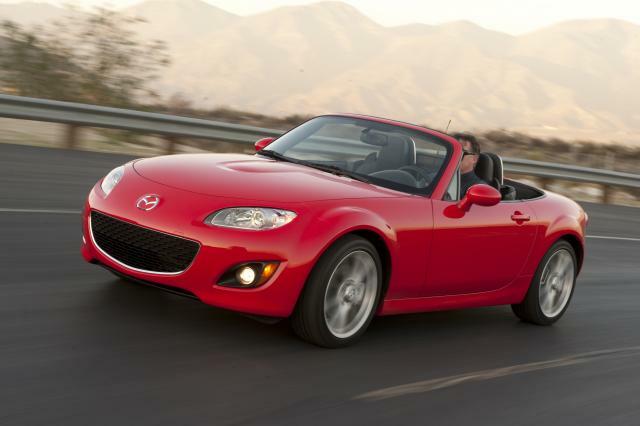 Mazda MX-5 Miata Touring – Motor Trend comments: “Every convertible should bring a smile to its owner’s face. With the Mazda MX-5 Miata, that smile will be wider and last longer. Now in the second half of its third generation, Mazda’s Miata may have grown a bit larger and more powerful (not to mention safer), but it still begs to be thrown around curves.” MSRPs are not bad, either, ranging from $29,960 (Sport) to $29,500 (Grand Touring with power hard top). Superb sports handling, quality interior fit and finish, history of reliability – all these and more make MX-5 Miata one of Car and Driver’s 2010 10Best Cars, a Consumer Guide Best Bet, and more. Other considerations for best new convertibles under $30 grand include the 2011 Mitsubishi Eclipse Spyder GS and the slightly more expensive (but maybe you can get invoice at or near the price cap) 2010 Volkswagen Eos and Nissan 370Z. If the wallet won’t stretch that far, wait until the 2011 models come out and you’ll probably get a great deal on the 2010 drop top of your choice. 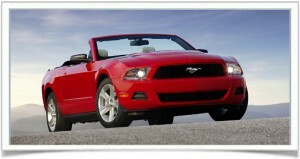 To see all cars under $30,000, click here.